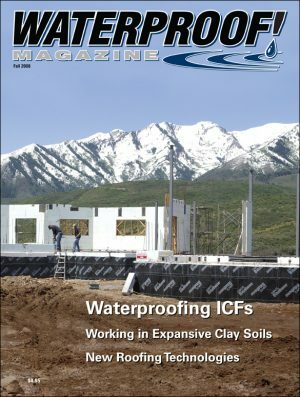 Over the past three decades, an innovative technology known as Integral Crystalline Waterproofing (ICW) has been changing the way concrete structures are waterproofed and repaired worldwide. Unlike conventional waterproofing methods that apply a membrane or coating to the concrete surface, this new waterproofing method plugs the natural pores and capillaries from within the concrete. It also reacts in the presence of any incoming water to self-seal future cracks, which the concrete will inevitably develop over time. 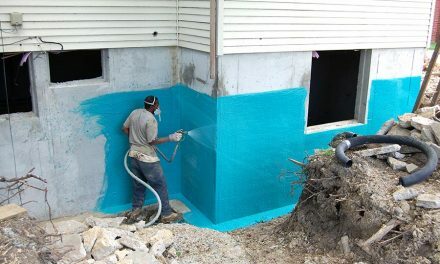 Crystalline Waterproofing is usually supplied as an easy-to-use, dry powder. It is composed of Portland cement, silica sand and special chemicals. These chemicals react with water to cause long, narrow crystals to grow, filling the pores, capillaries and hairline cracks of the concrete mass. As long as moisture is present, the crystalline chemicals will continue to react and grow crystals, reaching lengths of several inches over time. Once the concrete has cured, these chemicals remain dormant until they come into contact with moisture again, such as through a new crack. Some cracking in concrete is inevitable due to curing shrinkage, settling, seismic activity, freeze-thaw cycles, etc. If water seeps through the cracks, the crystals will begin to grow again until the concrete is again impermeable. Crystalline technology’s ability to self-seal is one of its most important features, and has helped to dramatically decrease long-term repair and maintenance, since the concrete itself has been transformed into an impermeable, water-resistant barrier. ICW is a powder that can simply be added to the ready-mix truck at the plant or jobsite as an admixture. They can also be brushed onto the surfaces of existing concrete structures as a slurry coating. Brush-applied solutions can be applied to the entire wall or slab, or only to specific areas, such as cracks. Either way, the same chemicals are at work and act as a permanent barrier against water intrusion. 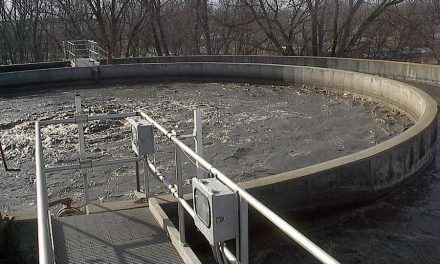 In some conditions, such as on freshly poured concrete slabs, ICW can be spread over the slabs as a powdered, dry-shake treatment and trowelled into the surface during finishing. 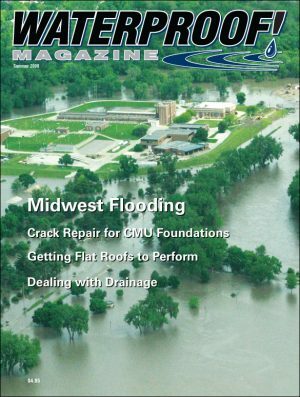 Long-term, Permanent Waterproofing: ICW becomes an integral part of the concrete matrix so it will not crack, peel, tear or wear away—even against high hydrostatic pressure.Crystalline applications actually become more effective with time. Perfect for blind-wall applications: Project teams can design a larger structural footprint and build right to the property line. ICW can be added to the concrete mix or applied to the negative side of the structure (against the water pressure). Protects reinforcing steel: ICW adds to the longevity of concrete structures by preventing reinforcing steel corrosion, which often occurs when salt, chlorides or other waterborne contaminants seep into the concrete. Save weeks on construction schedules: ICW is added to the ready-mix truck or applied to green concrete, so there is no need to wait for membrane application. Backfilling can begin as soon as the concrete has cured sufficiently to withstand backfill pressures. 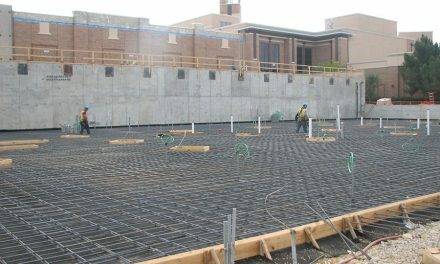 ICW can be used in virtually any concrete project. It is especially good for below-grade foundations, parking lots, elevator pits; water containment and aquatic facilities; bridges, dams, tunnels and pipelines. 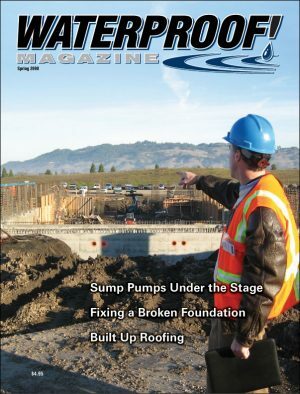 ICW has proven to be most effective in areas exposed to high hydrostatic pressure, such as below-grade foundations and water containment tanks. It is an attractive alternative to traditional waterproofing methods because of the permanency, reliability and ease of application. A number of companies, including Kryton International, offer integral crystalline waterproofing systems. Don’t confuse true crystalline products with those that are simply concrete densifiers or pore blockers. Also, some products only crystallize as they dry, and will not reactivate in the presence of water to fill cracks. Products containing silicates, stearates, or talc will not provide permanent, long-term waterproofing. Be sure your manufacturer offers a long-term warranty on crystalline products. Though originally received with skepticism, integral crystalline waterproofing has been repeatedly and successfully tested and used in virtually every country around the world. Over the past few decades, crystalline technology has been embraced by the construction industry as a superior replacement for conventional membranes, offering time and cost savings and flexibility that are simply unmatched by traditional waterproofing methods. Dimple drainage sheets are quickly becoming industry standard for a wide variety of horizontal and vertical applications. 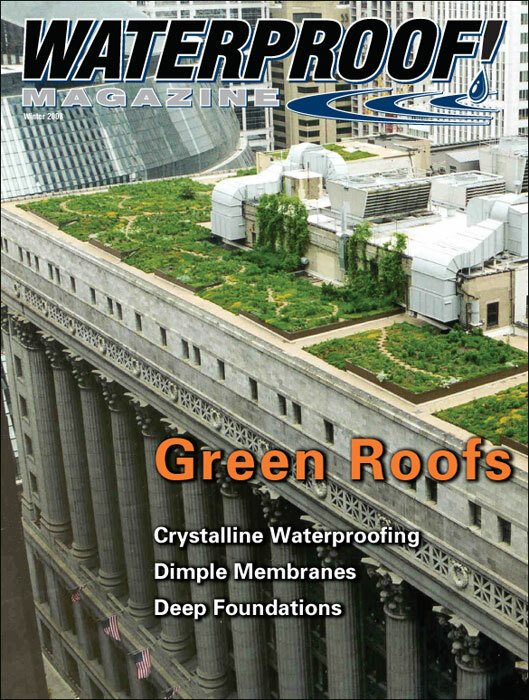 The newest frontier in waterproofing, owners are discovering that planting rooftop gardens can improve the environment, their energy bill, and the lifespan of the roof itself. 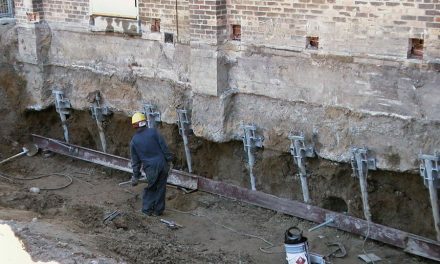 Some of the most difficult waterproofing projects are excavated deep foundations, where hydrostatic and soil pressure is intense, and the stakes are high.